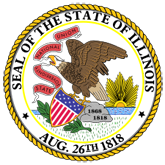 The Senior Community Service Employment Program, sponsored by the Illinois Department on Aging, is a federally funded employment program designed to assist the mature worker (age 55+) in re-entering the job market. 1. Senior Community Service Employment Program (20060831133555_PUB_SCSEP-BROCHURE.pdf).